Testing By AP Finds Water At 2016 Olympic Sites 'Rife With Human Sewage' : The Two-Way The AP commissioned tests over a five-month period. Experts who reviewed the results found that not a single venue is fit for swimming or even boating. The Rodrigo de Freitas lake, which was largely cleaned up in recent years, was thought to be safe for Olympic rowers and canoeists. But an investigation by The Associated Press found it to be among the most polluted sites. 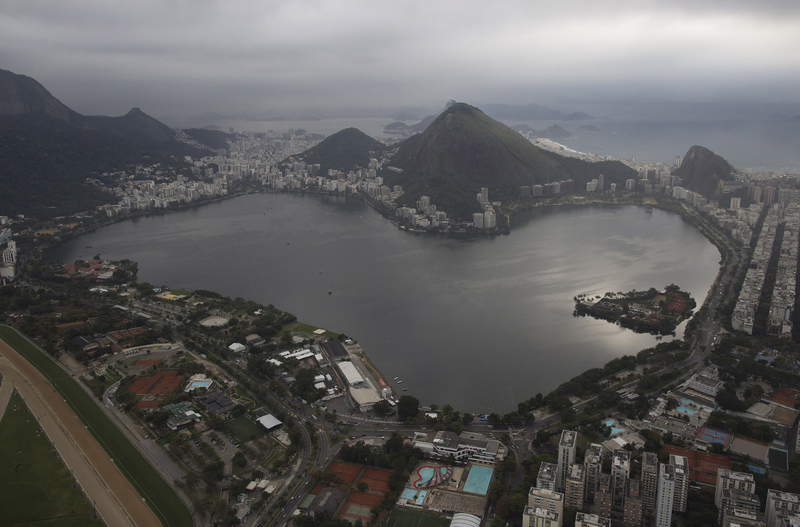 It's no secret that the water at some of the 2016 Olympic venues in Rio de Janeiro has some problems. NPR's Lourdes Garcia-Navarro got a whiff of one venue in April. But The Associated Press has just put some science into it by commissioning tests over a five-month period. What the wire service found is pretty gross. In short, the water is "rife with human sewage," teeming with high levels of viruses and bacteria. Not a single Olympic venue, the AP testing found, is fit for swimming or boating. "Brazilian officials insist the waters will be safe, but the AP testing over five months found not one venue fit for swimming or boating, according to international experts, who say it's too late for a cleanup. "In the U.S., Griffith said, areas with such levels of contamination 'would be shut down immediately.' "
The raw numbers? In one venue, the Rodrigo de Freitas lake, the AP found 14 million adenoviruses per liter to 1.7 billion per liter. For comparison, authorities in Southern California would be concerned if that level was at 1,000 adenoviruses per liter.